HJ03 Design Context: Butterbeer initial google search! One of the first things I do? 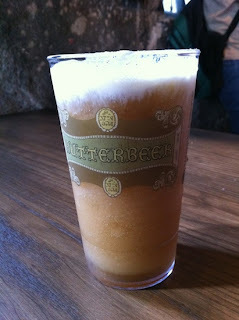 Put Butterbeer into google. 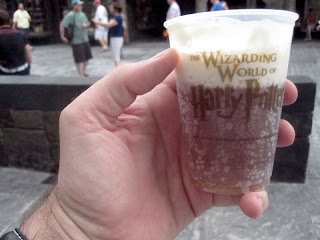 I got a whole slew of images, mostly from Harry Potter World in Florida which is always interesting. I'd like to visit there some day. It should be in England though, to be fair. It's English. Why did they get it first? Anyway, just a few images that Google churned out on the subject. I think this is one of the dispensers they have at the theme park, done like a proper beer tap but not at the same time. The bloke in this picture, well I can't look at him and not laugh. I like to call it LOL therapy. 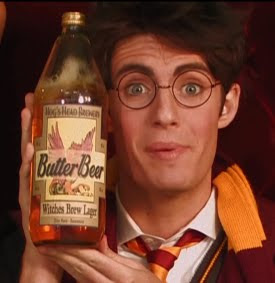 Either way, I never saw Butterbeer as a lager? So this image is instantly wrong to me. That's also a very big bottle. 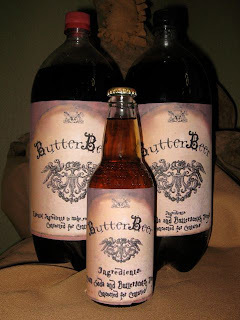 In my mind, Butterbeer can be kept in a keg or sold in bottles the normal size of a bottle of beer, maybe pushing it to the larger bottle size of cider. I can't say the source of most of these images really, but it's just an overview. 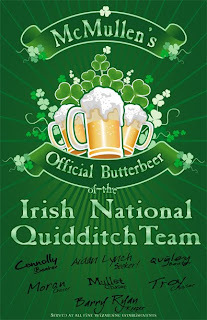 This poster makes Butterbeer seem alcoholic, it looks like a general mug of beer. 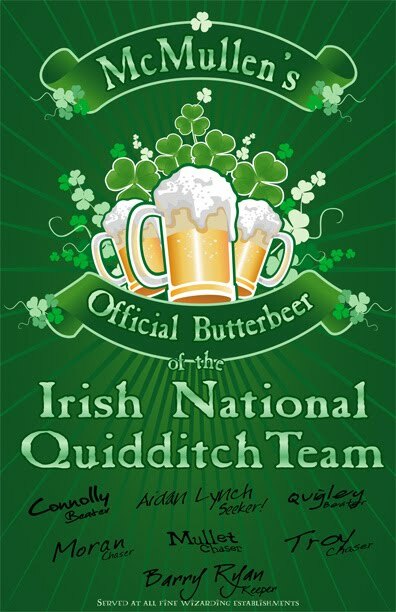 Maybe Butterbeer comes in non-alcoholic and alcoholic? This is definitely something that needs to be established. There are recipes for both. I need to try my hand at them and see how it goes. 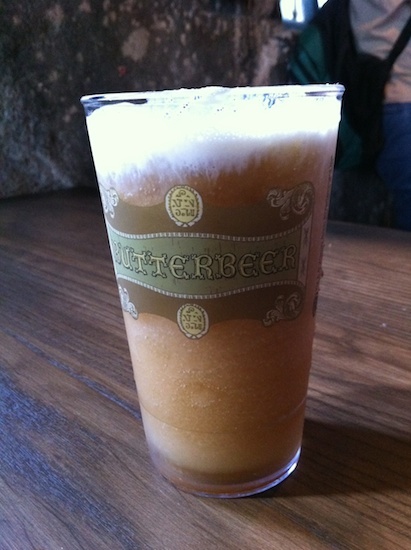 A printed Butterbeer glass from Harry Potter world. I know that the Wizarding world is supposed to be very old fashioned but even then, vintage beer labels are more interesting than this! 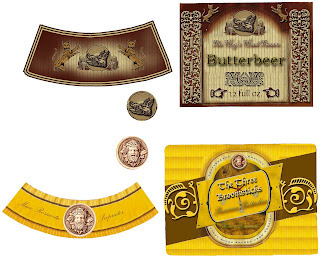 This is somebody's home made Butterbeer labels. They look more like they belong in an apothecary than a pub. Also the label just seems much to large in relation to the bottle and in the picture it's pretty obvious to see that it's been printed at home on an ink jet. Also, I've never seen plastic in the Wizarding World, to be fair. These are a little more along the right track, I suppose, scale wise but the design is still fairly atrocious. Drop Shadow? please. The bottom one is a little more along the right tracks and it actually looks like it could be on a beer bottle. Although it has just been copied from the one below, which I actually like as a bottle label. I need to find out where this one comes from. A plastic cup from the theme park, yay. 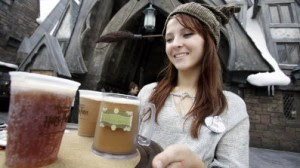 Someone enjoying a nice refreshing Butterbeer in the theme park. I do like the mug-like glasses as opposed to modern day glasses. The flagon thing kind of suits the scenario.